The Prezi platform lets users present with visually intriguing motion, allowing presentations to flow seamlessly. Prezi also features more than basic charts and graphs- presenters can easily use visuals to show how ideas relate to one another, and to make sense of numbers and data. 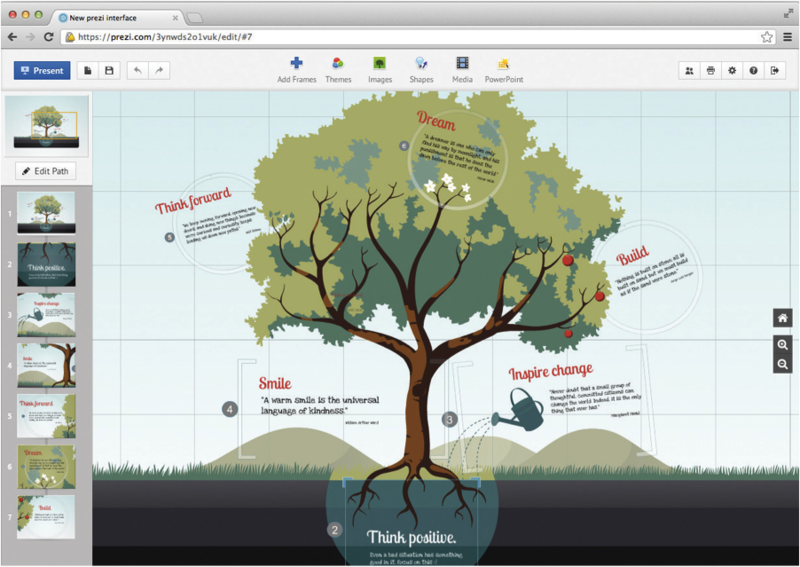 Prezi is great for teams, because it’s easy to share the workload through online collaboration. SlideShark sales presentation solutions are all about consistency and productivity across multiple platforms. 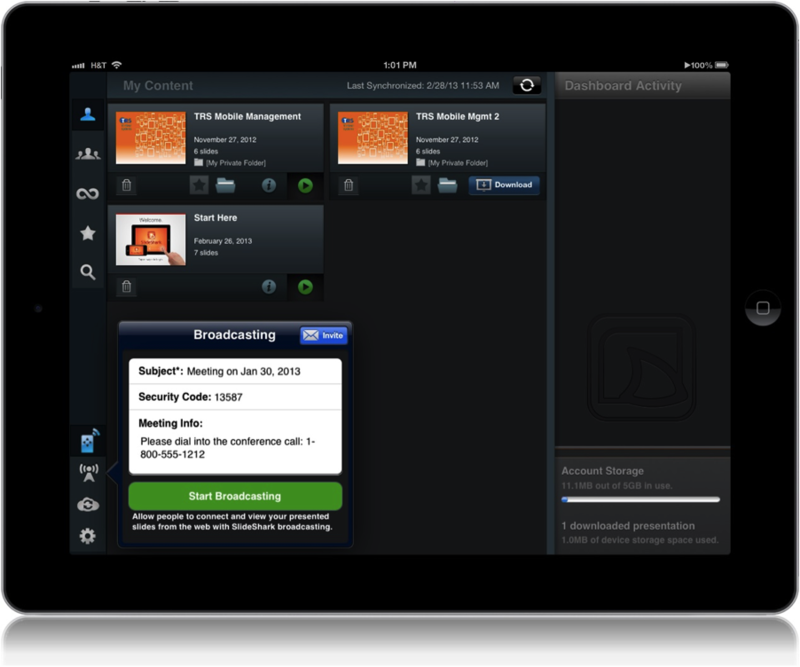 Presenters can broadcast slides over iPad, iPhone, or Widows 8 tablet, offering easy access to and follow-along capability to multiple users. SlideShark also offers real time annotation and highlights that engage the audience and clarify content so listeners never get left behind. 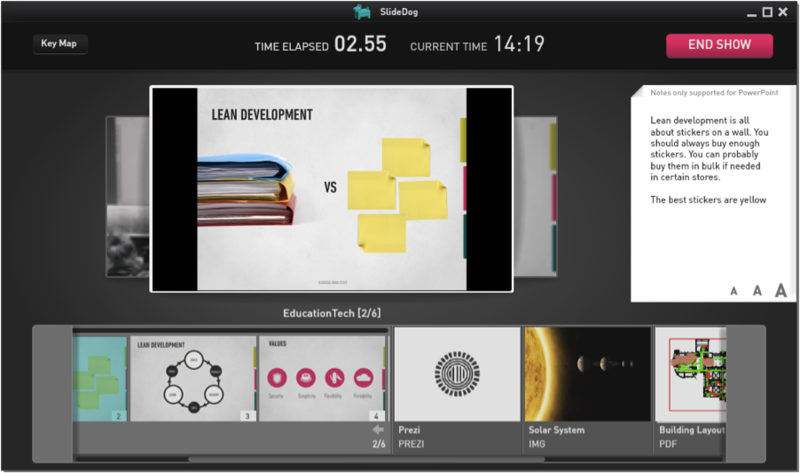 SlideDog offers seamless integration of multiple media platforms for users who want to spice up their slideshow. The platform allows users to combine PowerPoint presentations, PDF files, Prezi presentations, movie clips, web pages, and other multimedia for extra excitement. SlideDog also incorporates interactive elements including options for anonymous feedback, real time polls, and audience chat, so users can gauge performance and make notes for next time around. We want your next presentation to pop like fireworks on the 4th of July! If you have worked with these tools and want to share your experience with the community, leave a comment below and and let us know more about your favorite presentation platform. And if you need help creating a stellar pitch, Wheel Media copywriters are always ready to help set you up for success.